← Fun & Lively Necklace – Lovely Colors! 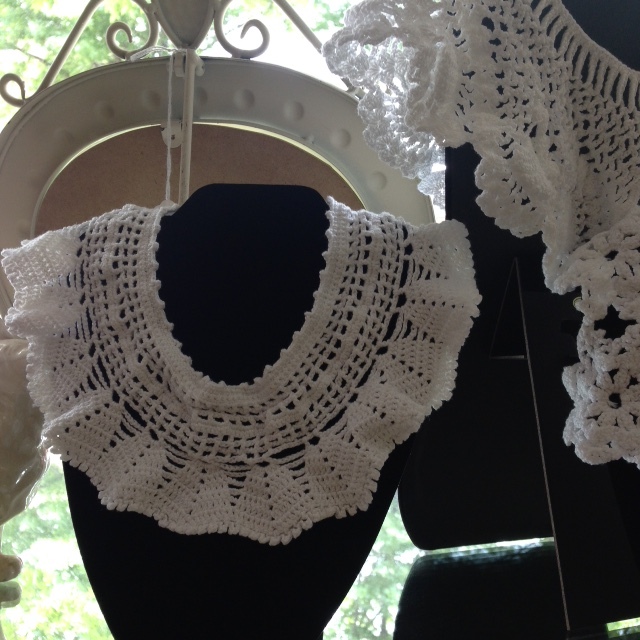 Crocheted Lace Collars – These Are Lovely! 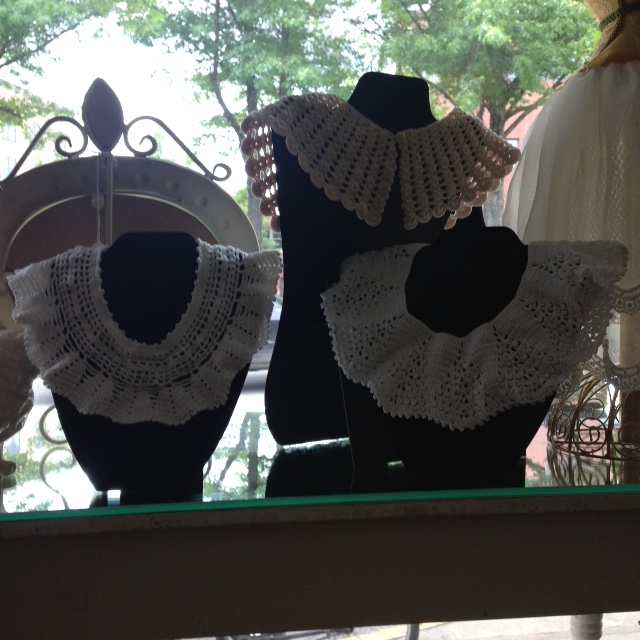 We have a wonderful selection of crocheted collars in a variety of designs. 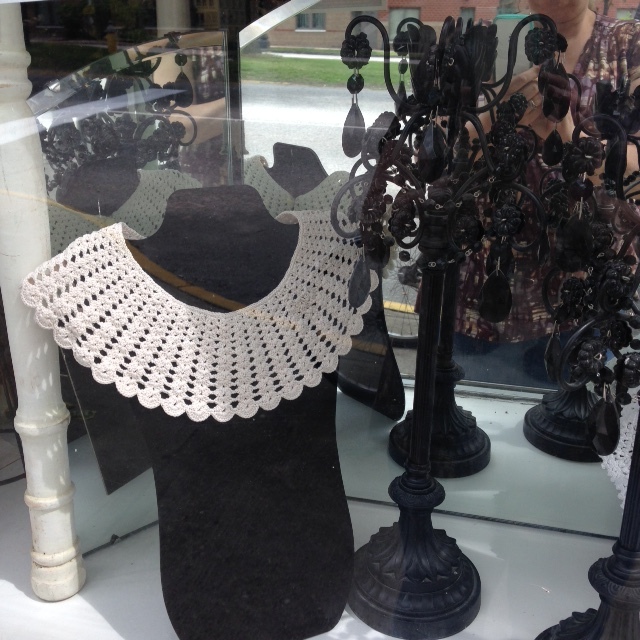 These will look lovely with nearly any ensemble; come on in and try one (or more) on! Layaway Plan: Please see our “Details: Layaway Plan” page on our websites. Payment Information: Please see our “Details: Payment & Pricing” page on our websites. Shipping & Delivery Information: This item can be sent via the USPS’s “Media Mail” which takes about a week or so, for $3.95. Otherwise, please see our “Details: Shipping & Delivery” page on our websites. If you’re traveling any distance please message us ahead of time to confirm that the shop will be open, as Linda’s social work job sometimes necessitates last minute scheduling changes, and that can happen even on weekends. Please understand that unlike some shops we do not artificially inflate our prices and then give discounts to people who ask for them. 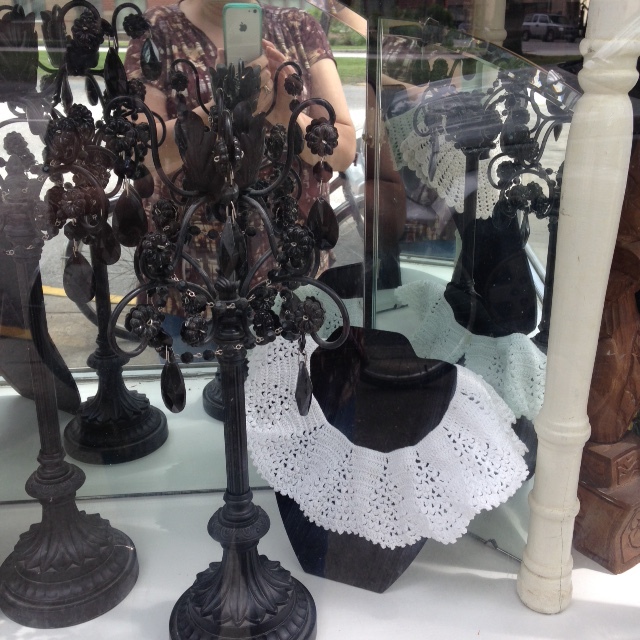 Our prices are firm (although we may on occasion have a sale on certain items, but those would be announced). Therefore, emails asking if we will take a different price than listed may not be responded to. 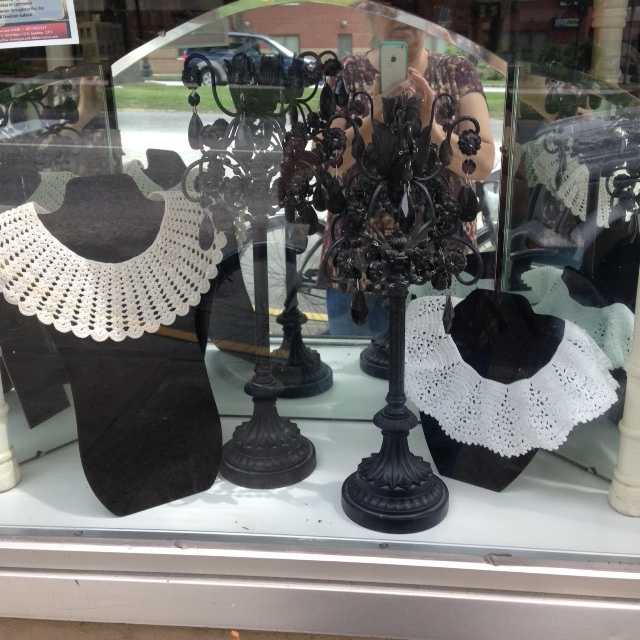 … Heritage Collectibles at 189 Main Street, Lewiston ME 04240. 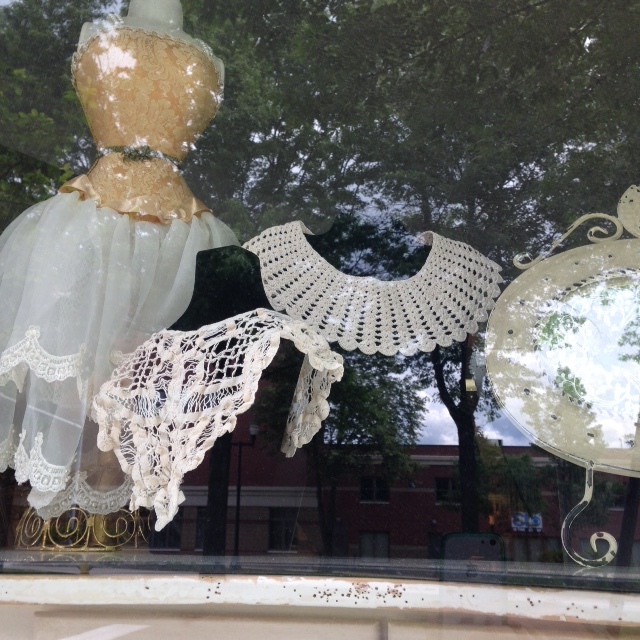 Sign up for our blog at heritagecollectiblesmaine dot com. … Heritage Books & Maps, 5 Park Street, Lewiston ME (just around the corner from our 189 Main Street location; same building but a separate entrance). Follow this blog at heritagebooksandmaps dot com! 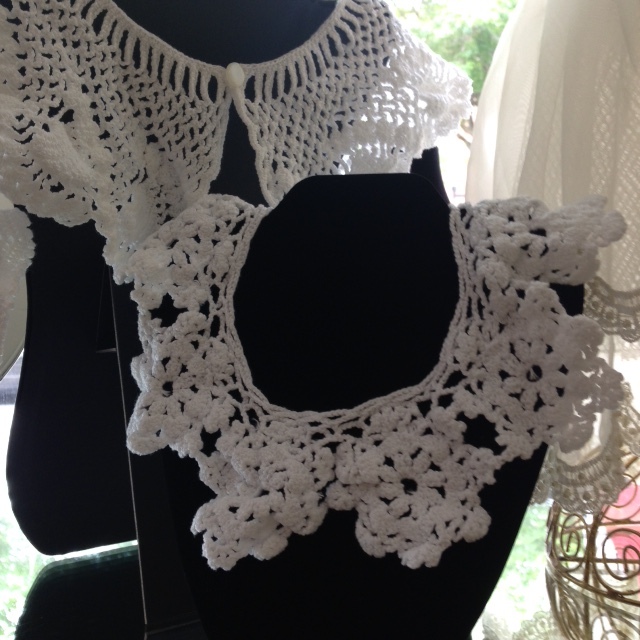 This entry was posted in Lace, Linen & Crochet and tagged collar, collectible, crochet, Heritage Collectibles, lace, vintage. Bookmark the permalink.